Abiah C. (?) married Hibbard Houghton. William Houghton married Libby White in 1856 at Schenectady, Schenectady Co., NY, USA. 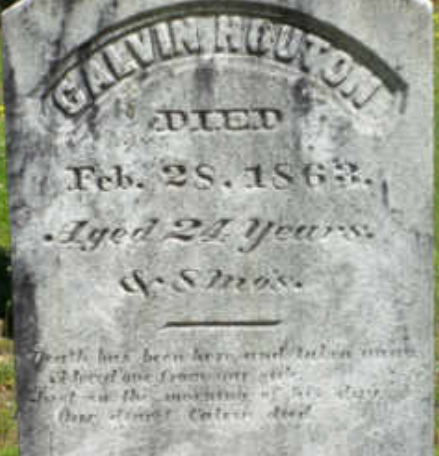 David Houghton married Catherine Louise (?) in circa 1857 mar 42 years in 1900 census. Hannah Houghton married Nicolas Oliver. John Houghton married Lillie Mufford in circa 1876 age 30 and 22; mar 24 years in 1900 census. Maria (?) married John Houghton, son of David Houghton and Anna Bryant. Rhoda Atwater Bryan married Charles Houghton Treat Family Genealogy; Pioneer History of Camden, NY. Sarah (?) married James Houghton.